After struggling just a season ago, the Barrie Blizzard emerged in 2015 as a team that was tough to beat. After going on a seven game tear, the Blizzard took home the Creator’s Cup behind their MVP Caleb Wiles. The Blizzard took down the Demons in the title game; it was the Demons second straight appearance in the game but it was Barrie’s first time having a shot at the championship. 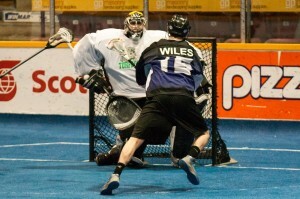 Wiles was coming off of a 2014 season where he was named the league’s offensive player of the year. This season he was able to use those skills to led the Blizzard. Barrie’s roster carried a lot of talent heading into the championship contest. Goaltender Angus Dinley took home two season awards (goalie of the year and league MVP) and Mike Teeter grabbed the league’s top offensive player award. After two solid CLax seasons and a brief stint on an NLL roster, Wiles has lofty goals ahead following his first championship.